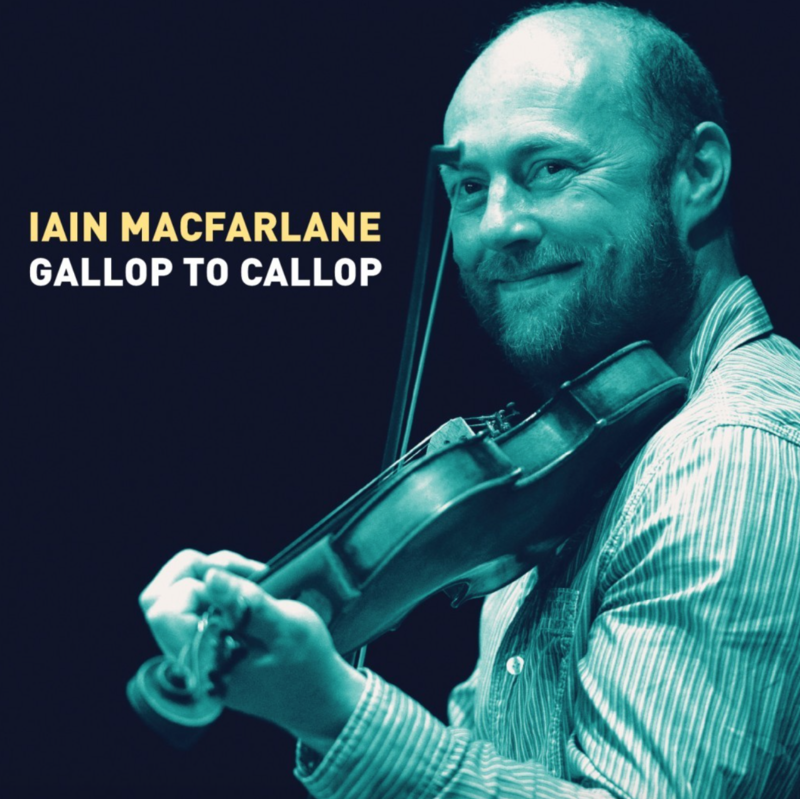 Earlier this year – like, say, late January – Duncan Nicholson gifted a copy of Iain McFarlane’s (still) new record, “Gallop to Callop”. I was especially happy to get it – an old school CD (talking medium not music) – as I knew Iain’s playing a little – and was looking forward to having a listen. Well, as it turned out, the CD got lost in one of the super-secret zipper pockets of my pipe case and it wasn’t until early summer I found it along with a past-it’s-best-before-date energy bar. The Greek yoghurt cinnamon seaweed bar went to compost and “Gallop to Callop” to the top of my favourites playlist. Since then Iain’s music has kept me company and my blood pressure to reasonable levels on countless commutes from Dundas to work in Toronto – and home again. Iain MacFarlane is, of course, a fiddler. A piper, too, for the record, but it is the fiddle under his chin and not the pipe under his arm where he really makes hay – and seriously outstanding music, at least, as far as this project is concerned. “Gallop to Callop” is the work of a musician at the top of his game. Iain’s technical ability is almost unparalleled. Because of this small but – surely not – detail he has the fire power and physical resources at hand to create and sustain absolutely enthralling rhythm and melody – or, better put, music. The sound of his fiddle, too, is warm and engaging, his bowing crisp and confident. For those who spend a lot of time in the musical orbit of the Highland Bagpipe Iain’s fiddle stylings are saturated with bagpipe technique. True, many of his tunes on this record were born of the pipe and so a natural part of the DNA of the compositions: grace notes are doubled and tripled up, echoes, slurs/strikes are rampant along with triplets galore. Still, to be fair, to hear the pipe so expertly – if not reverently – portrayed on the fiddle, well, you just have to marvel at the virtuosity needed to make that happen. Iain opens Gallop with a set of jigs that are a lesson in rhythmic purity – steady and sure with an inherent pulse just right for dancing. 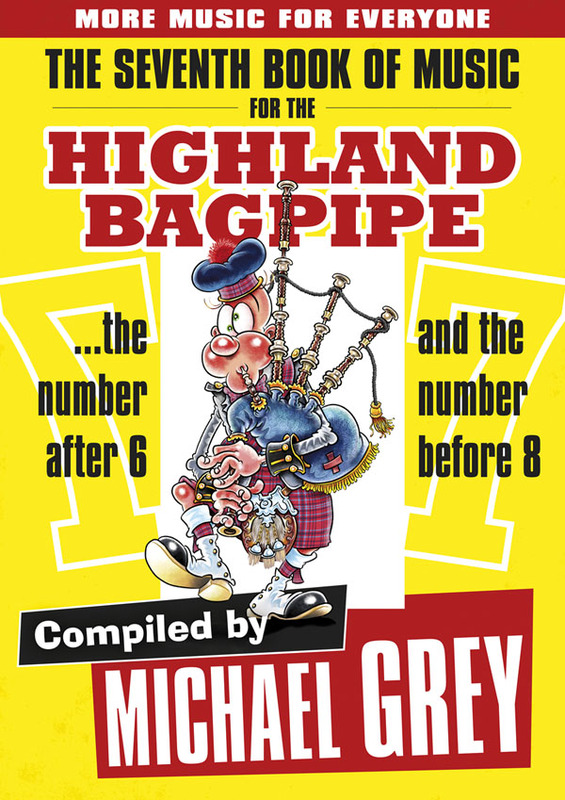 The first featuring an homage to Charlie Williamson’s “Eileen MacDonald” and that famous two-bar melody rise starting on the lowest note on the pipe chanter. The introductory jigs set the stage for for a broad range of honest energy. From the poignant – Iain’s own “Isobel’s Tune” (wrote Iain, “…for my mother who has supported and encouraged, fed and watered me, and all my musical pals forever.” Iain’s a good son.) – to the shoe-damaging, as in mighty reels like, Iain’s melody, “DJ’s Reel”, a favourite. I don’t know if it’s the intrinsic nature of music made on the fiddle or if it is Iain MacFarlane’s approach to creating tunes and sets, but the music on this project is exceptionally cinematic. In driving through the countryside with tunes firing like Peter MacLeod’s classic, “P/M Willie MacLean” a listener doesn’t need much of an imagination to visualize a real-time film – with fitting soundtrack. Download Iain McFarlane’s “Gallop to Callop” on iTunes now. You will not be disappointed. PS. Another personal note: on my very first trip to Scotland in 1895 I found myself at a memorable ceilidh at Iain’s father Charlie’s hotel, Glenfinnan House Hotel following the Glenfinnan Highland Gathering, meeting loads of people, including, I remember clearly, Iain MacDonald, Glenuig.